Have you hopped over from the blog my crafty crush Lydia Fielder well you are right on track. This month's release is SUPER FUN because we have a NEW PRODUCT. A mini die cut machine. It is sooooo cute. 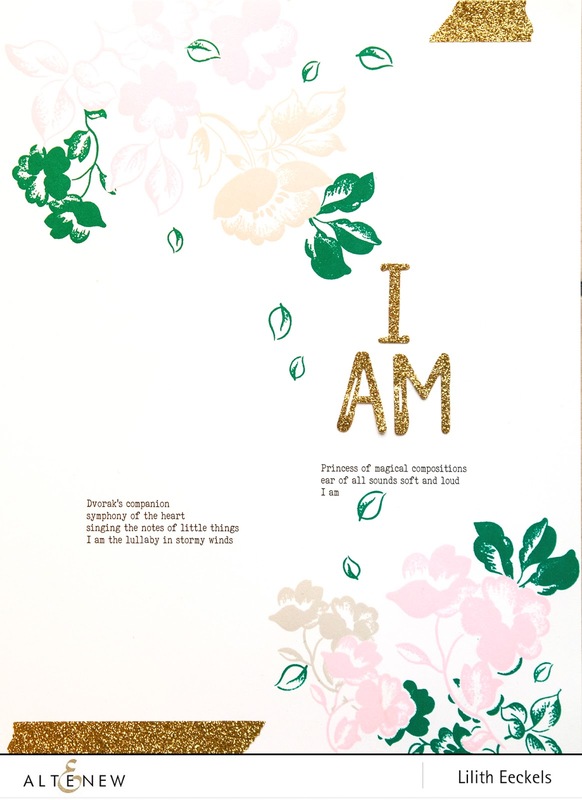 I created a very simple project using the Frosted Garden stamp set and the Brush stroke die. I used I text I wrote on a training course about AUTO-LOUANGE (French word meaning "Self-Praise"). I was a wonderful experience and I love creating texts like this. This was my first one. I thought it would me nice to frame it. One of the phrases I say regularly to keep calm: I am the lullaby in stormy winds. Altenew blog hops are fun for several reasons. The first is that there is a TON of inspiration and the second it that there are lots of AWESOME prizes. 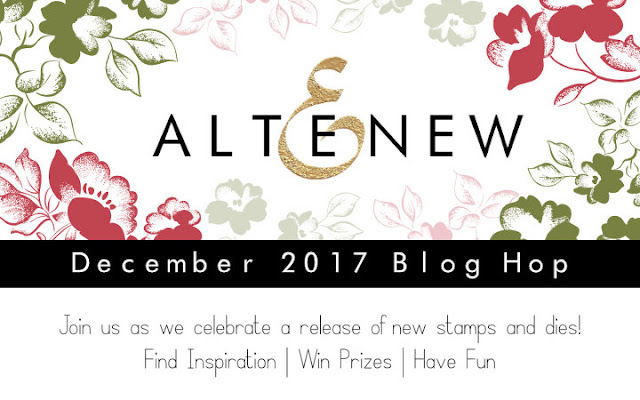 I'm giving away a 30$ gift voucher to the Altenew store. All you have to do is leave a comment before December 15th and tell me what your favourite product is from this release. I'll pick a winner on the 16th and announce it on my blog. Oh boy! that new little machine is SO ADORABLE! It's definitely going on my "wanna get it" list. It's definitely my favorite product in this release. This die cutting machine is such a haaa size for those who don't have much room for large supplies or someone who likes to take their art on vacation. Love this! How amazing the little die cutter is. Your art is stunning. What a great way to remember your talk. My favorite product from the release is the Stunning Cosmos stamp set. So pretty. My favorite item from this release is the die cutting machine. Love your saying.. great idea to frame it up. Special memory for you. Beautiful! Love your layout and text! The glitter is a perfect addition! This is absolutely stunning! I love the sheer simplicity of this! The new machine is in my cart waiting for me to finish hopping so I can make all my decisions! TFS! Looking forward to using some of the inks. Always like to try new colors and brands. My favorite it the Frosted Garden stamps and dies. Beautiful art. Thanks for sharing..
That mini-diecut machine looks amazing! This is so stunning!! I love the design!! The Frosted Garden set is my fav from this release!! I love the floral images, they all tug at my heart!!! wonderful layout - love the colors you used! Gorgeous samples...thank you for sharing your creativity. Love the accent of gold you added. Great layout! Beautiful piece Lilith, it will look lovely framed and on display, bringing comfort every day! LOVE the ELEGANCE of your design with the combination of bold & delicate stamping along with a touch of gold! Beautiful page with those lovely flowers, and I am excited about the cute mini die cut machine! Awesome-sauce! Love the layout and new release! Love your art piece! This release is amazing! What a great blog hop. I love this idea! The sentiments are amazing! wow I really love it! I love your page. It is so beautiful! Very pretty creation!! 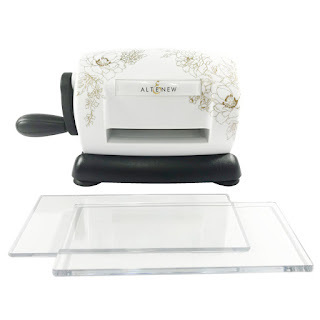 I have already purchased that cute little die cutting machine so that I can keep it on my work table!! Intriguing project! Thanks for the inspiration. You are just so clever and whole lot creative thanks for sharing more Fab ways to use your Awesome goodies. Beautiful page, Lilith! What a lovely piece for your home! Great page Lilith. Great release! I love your card. Thanks for sharing. Beautiful page, love it and you used my favorite set from the release, Frosted Garden. What a beautiful phrase - I will have to remember it to calm down too! Love the layout and the beautiful colors! So pretty and soft. 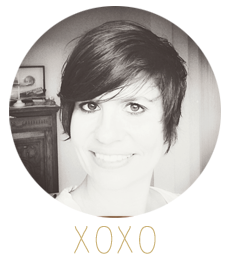 What a great idea - auto-louange - and your page is beautiful Lilith! Thanks for sharing!! This is super sweet. I love these flower stamps and would love to get for myself! Thanks for sharing your creative ideas! Lovely project! My favorite is the frosted garden stamp set from the new release. Thanks! I think your training course paid off. This is a wonderful layout and I love the sentiments you added. TFS. This is a very interesting poster. I AM impressed. Simply beautiful layout with gorgeous colors! Love your mantra, a very calming thought. What a wonderful CAS layout! Wow, what a beautiful and poignant layout! Lovely project! I love the colors. Wonderful layout!Thanks for the inspiration. Beautiful layout... I love the falling leaves! Frosted Flowers is my fav. So many great products with this new release. Your designs are beautiful! Love that art work you created! I agree that the mini blossom die cut machine is SO cute! I need that! Fun layout. Loving the demos of the new mini die cutter. Very different and beautiful project. I love the entire release. My favorite is the alpha die set. Fantastic project - beautiful text! Frosted Garden is one of my favourites from this release. 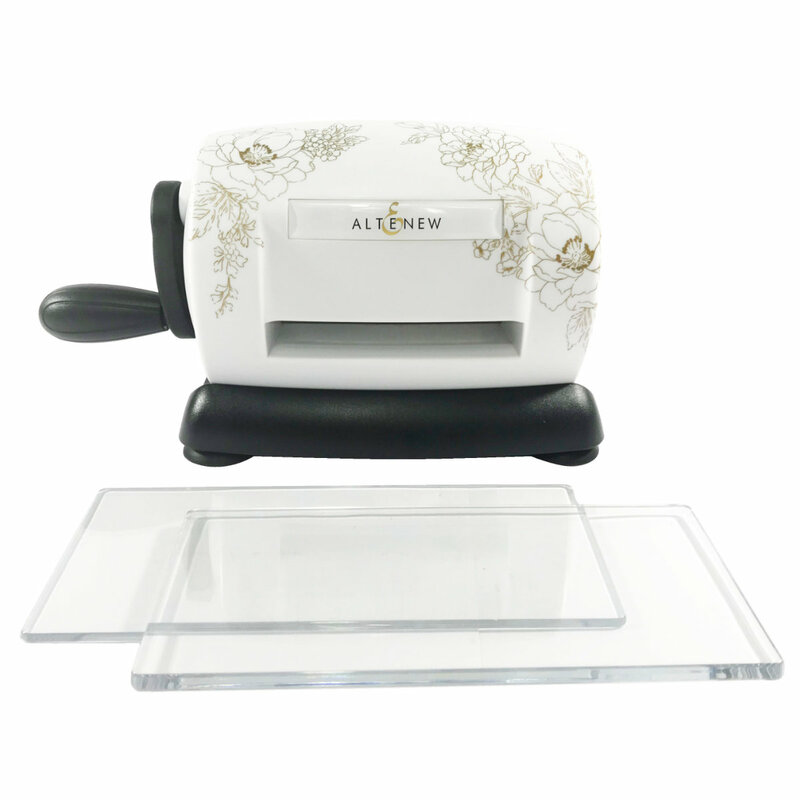 Favorite product: The new mini die cutting machine! It's too cute!